The World’s Biggest Book Sale is now in Chiang Mai! 1 million new books at discounts from 50% to 90% await you at the Big Bad Wolf Book Sale! Nov 30 - Dec 6 : 10.00 am. - 10.00 pm. Open from 10 a.m. till 10 p.m. (Monday - Thursday) and for 60 hours straight (Friday - Sunday)! 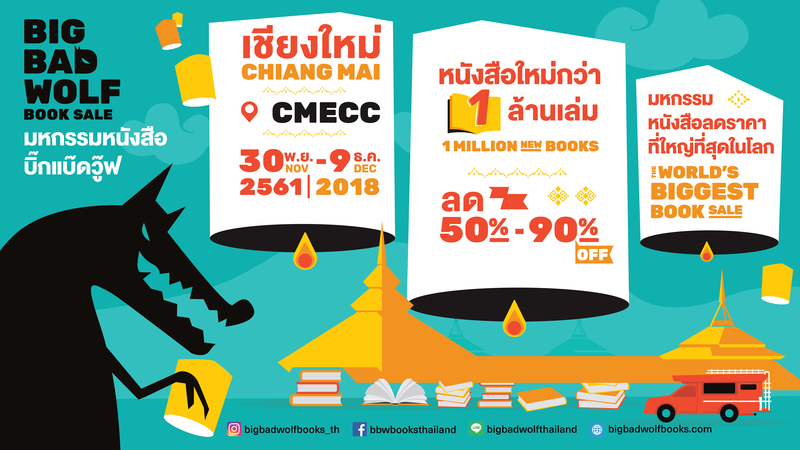 Follow us on Facebook, IG, and LINE @bigbadwolfthailand for the hottest book sale updates!